Depression is a prevalent disorder in adolescents and often leads to long-term impairments in functioning and risk of suicide. Although cognitive behavior therapy (CBT) is an effective treatment, many depressed adolescents fail to respond to CBT and few established measures are available for identifying those most likely to benefit. Brain-based measures seem to be powerful predictors of treatment response. However, they have yet to be extended to adolescent depression or to more economical, easily accessible measures such as electroencephalogram (EEG). With funding from the Klingenstein Third Generation Foundation, we are conducting a study to examine neural measures of positive and negative valence systems as predictors of CBT response in adolescent depression. 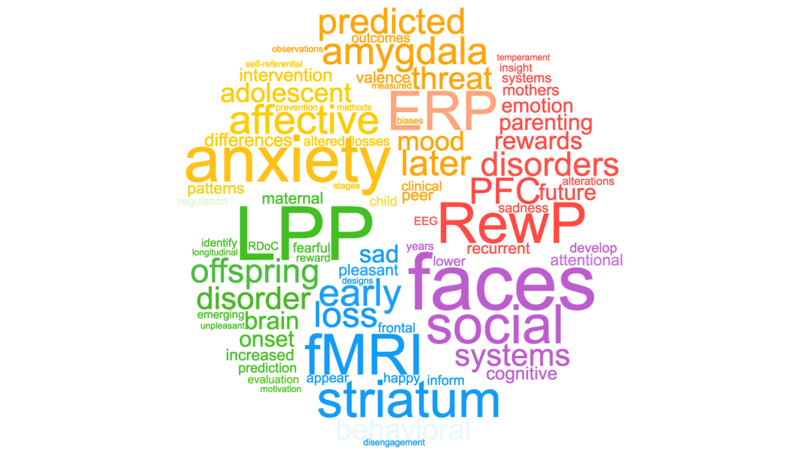 Adolescents (14 to 18 years old) with depression will complete an EEG assessment of reward responsiveness and emotion regulation prior to an established group CBT program, and we will examine emotional processing styles as prospective predictors of response to treatment. This project will take a step towards improved prediction of response to treatment for adolescent depression, with the ultimate aim of informing more personalized approaches to treatment and improving long-term outcomes. The goal of this series of studies is to develop and validate new approaches for assessing sensitivity to social reward and threat using EEG and neuroimaging. We are developing novel lab-based paradigms for measuring social processes in a realistic way and are working to map brain function on to real-world experiences, including exposure to stress and social engagement and activities in daily life. The hope is that these methods could be applied to better understand processes that predispose some children and adolescent to increase risk for mood and anxiety disorders and offer new targets for early intervention. This work is supported by the Brain & Behavior Research Foundation.